When I first saw Miguel Villaroya and Arturo Martínez-Insua dabble around with this deck, I was pretty convinced they had it ALL WRONG ... Beckett is just not a very good character ... or so I thought! This deck is NOT a choke-style deck like you'd see with eBeckett/eVal, but it is rather a pretty nasty aggro deck, which I should of course have known immediately seeing it playtested in the hands of former Spanish Champion Miguel Villaroya. Miguel is mostly known for winning tons of tournaments and his almost obsessive love of Mother Talzin, No Mercys and generally anything that can be hurled at you to inflict massive amounts of damage ... And this deck is no different. It throws stuff at you and it hurts! Arturo is definitely also turning into a great player in his own right with a top8 finish at the world's largest Nationals event in 2018, Spanish Nationals 2018, to prove it! So seeing these players work together on the deck should give some indication that it could be the real deal! And no matter what ... it's a pretty fun aggressive deck to play! If that's your game - this is your deck! Take 1 resource from an opponent. If (after having taken 1 resource from your opponent) that opponent has no resources, gain 1 resource. Take 1 resource from an opponent and (punctuation left out on purpose), if that opponent has no resources, gain 1 resource. 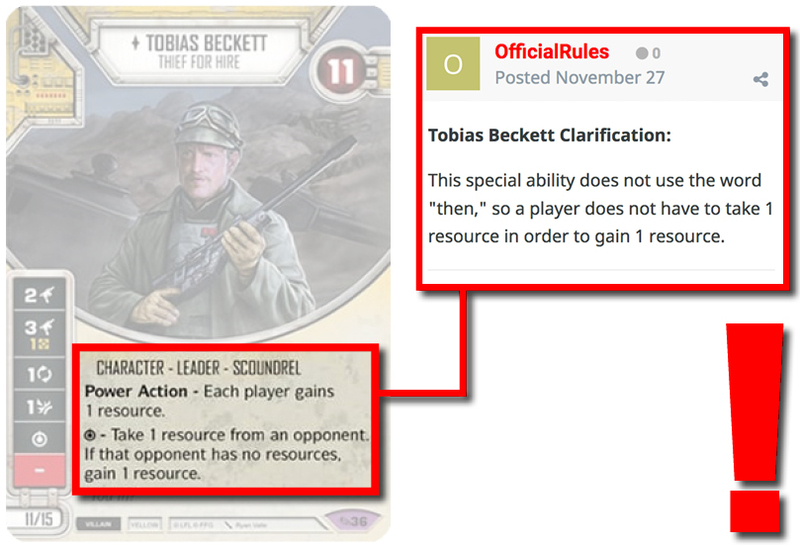 We now have that clarification and Beckett's Special does in fact allow him to gain 2 resources, if his opponent starts with just 1 resource. CRAZY stuff! That definitely raises his stock and almost makes up for his somewhat disappointing die, and also makes the 3 Ranged damage for 1 resource acceptable. His Power Action is also full of abusive possibilities, and the deck due to the combination of several cards and effects ramps much harder than you'd imagine! Not much can be said about MOTHER TALZIN which has not already been said. She might only be 9 health, but she packs so much value. Even though your deck construction is limited, she is nuts when the deck is built right, and this one feels that way. This is still a test version and I know that Miguel and Arturo having been tinkering with it a lot, so don't be surprised to see changes although I expect the shell to remain the same! It feels very strong and can take opponent's by surprise. Talzin's ability to turn dice consistently (you play 4 even costed cards) is amazing, and enables plays that you'd normally have to work hard to get. Beckett is activated first, then Talzin to see which dice needs fixing. This card has always been bonkers! Starting the game with 3 resources is bananas! It allows you to play your 3 cost upgrades, or a 1 cost upgrade and still have plenty of resources left for tricks. In this deck, with the right starting hand, it's even more broken! The ENERGY BOW is the "new" DH-17 and although lacking the 2 Ranged for 1 resource, it has a really strong die which can easily be fixed by Talzin if needed and has the potential to become a favorite for villain ranged decks, and generally looks strong in any version of Talzin/x decks. It's not an "upgrade", it's a mitigation card. I like it, as does any Destiny player (or hate it depending on what side of the fence you're on) because it's proactive, can take a tons of damage and not dependent on any play restrictions or favorable die results. 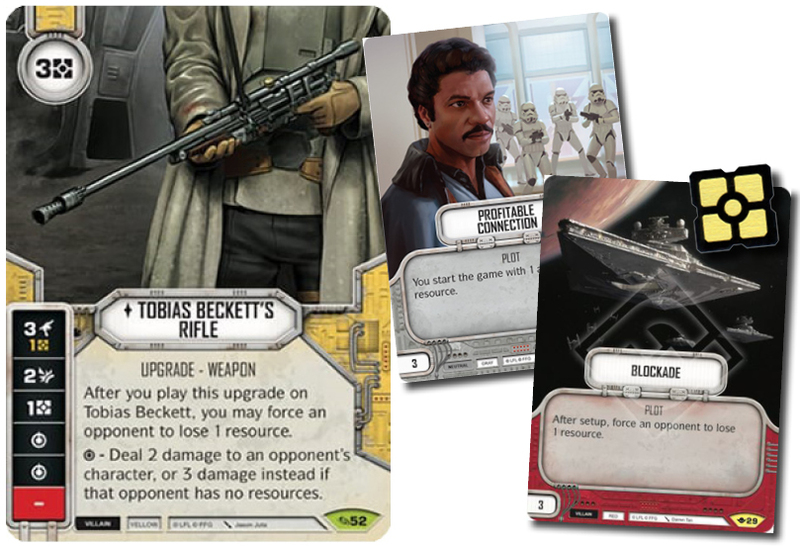 2 of your 4 even costed card, and you want to see one of these in your opening hand, next to a Force Ability and a Tobias Beckett's Rifle. It is incredibly good at putting pressure on your opponent, not even mentioning the ridiculous ramp it secures. 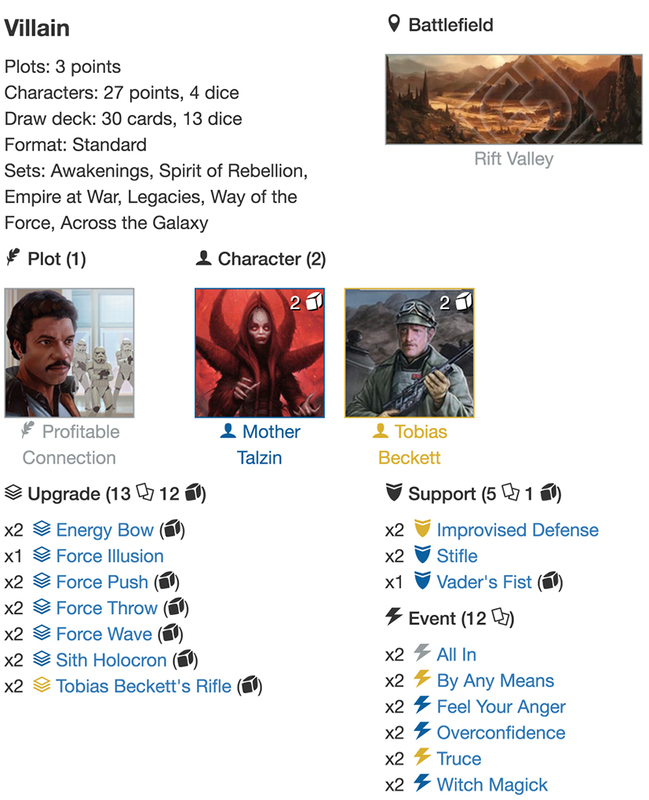 Sometimes, if your other dice results are good, even if not maxed out, it can be a strong ruse to use the Mother Talzin ability to flip the Holocron die to a Special (even if you don't have a Force Ability in your hand), to force your opponent into mitigating that die! The mix of Force Abilities can vary depending on how the meta develops! This is probably the more aggressive setup with FORCE PUSH being the least and the FORCE THROW the most situational! 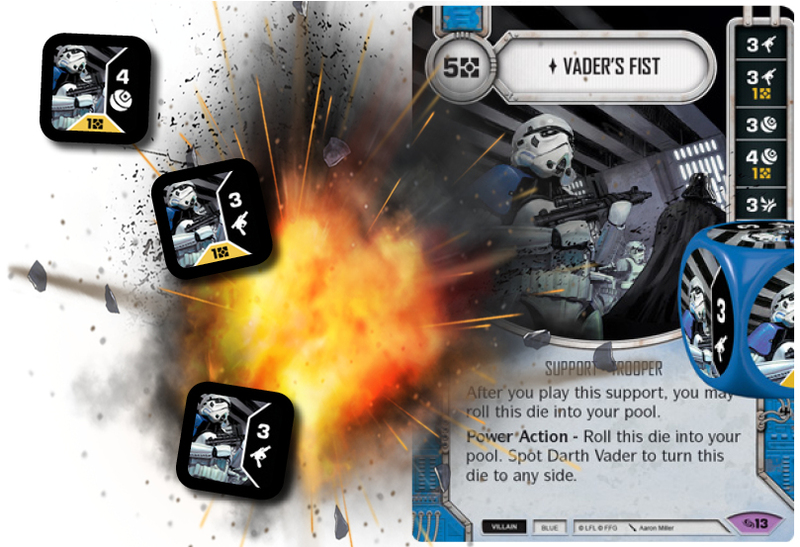 The Force Throw is obviously going to be extremely powerful against large support dice or even against strong character dice, i.e. Vader, Dooku, etc.! FORCE WAVE is always going to be great! Even against 2wide teams. The Special is still worth 5 damage (3 + 2) against two characters, even if the downside is to deal yourself 1 damage! I'll take that trade any day! Once an opponent is down to 1 character, you can always overwrite it with another Force Ability or a Beckett's Rifle. TOBIAS BECKETT'S RIFLE has INSANE value in this deck. You can play it round 1 due to Profitable Connections, and IF played as the first action of the game (or at least before your opponent spends 2 or more resources) it is effectively similar to having started the game with an additional plot: Blockade. It's pretty dope! On top of that, playing a Beckett's Rifle sets you up for some nasty Beckett Special abuse immediately! The rifle is your mulligan target! 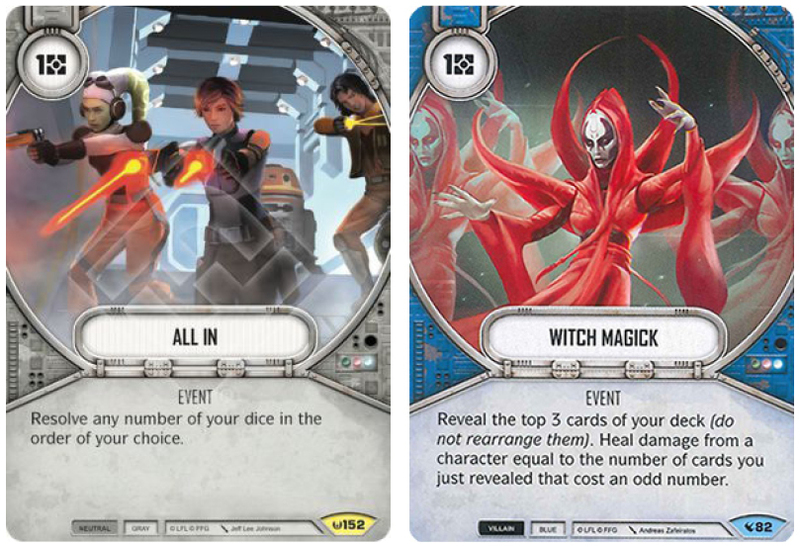 The line of new reactive supports (cards that are essentially Destiny's answer to the MtG Counterspell - negating the effect of an opponent's card or action) is one of three new strategic avenues and game mechanics introduced by FFG for Across the Galaxy (the others being (a) Mods and (b) Extended tutors, i.e. TIE Fighter). The juror is still out on how impactful they are going to be on the game, but I think people in this time of relative uncertainty hope the best and fear the worst. 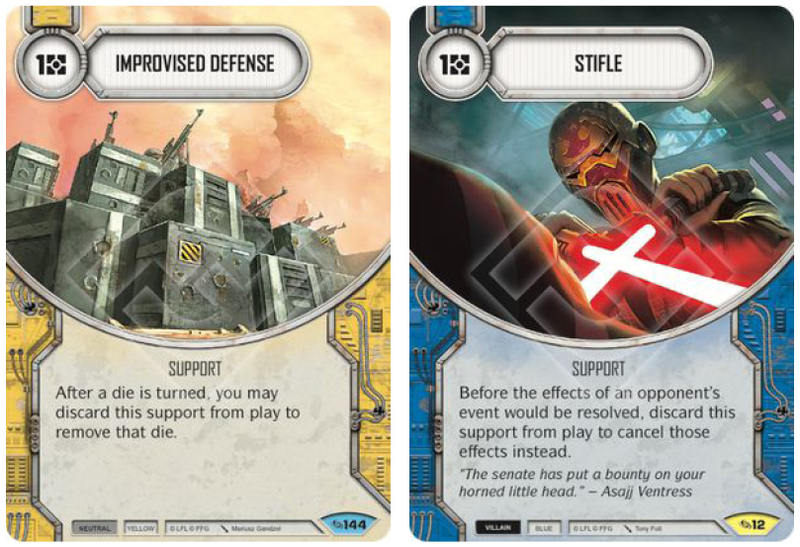 IMPROVISED DEFENSE allows you to remove dice that have been turned by card effects or focused, essentially offering some protecting against Snoke Power Actions as well as potentially lethal damage sides, while STIFLE allows you to protect yourself against mitigation or Impulsives, All Ins, etc. 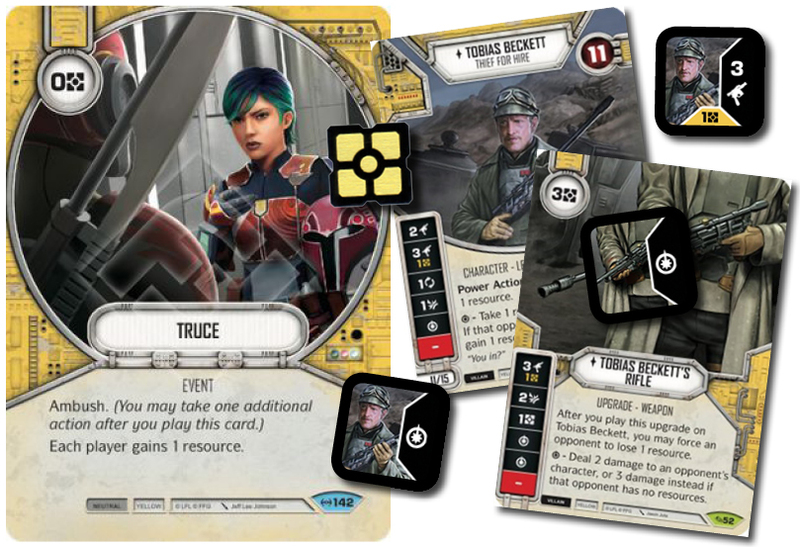 There was plenty of doubts concerning the sequencing of Stifle (that has now been clarified in the Star Wars Destiny Official Rulings on the community page), and it a MUST cancelling the effect of an opponent's NEXT event, so your timing of Stifle is important. It is one of the craziest cards in the set. Allowing you to use the die 3 times the round you play it and 2 times every round after is just INSANE! It can win games by itself and the potential to annihilate characters at will is clear and present. It's expensive and has 2 paysides, but the die is consistent - no Blanks - boasts four big damage sides and you can always fix it with Talzin if needed. It is already ripping characters apart in almost every deck I've played it in so far. Your mitigation suite is fairly dense, but add to this 2 Improvised Defense, the single Force Illusion as well as 2 Witch Magicks and you are looking at a solid 11 cards that mitigates or removes in one way or the other. BY ANY MEANS, FEEL YOUR ANGER and OVERCONFIDENCE are all solid, although Feel Your Anger can at times feel somewhat clunky when you are on the wrong side of variance. 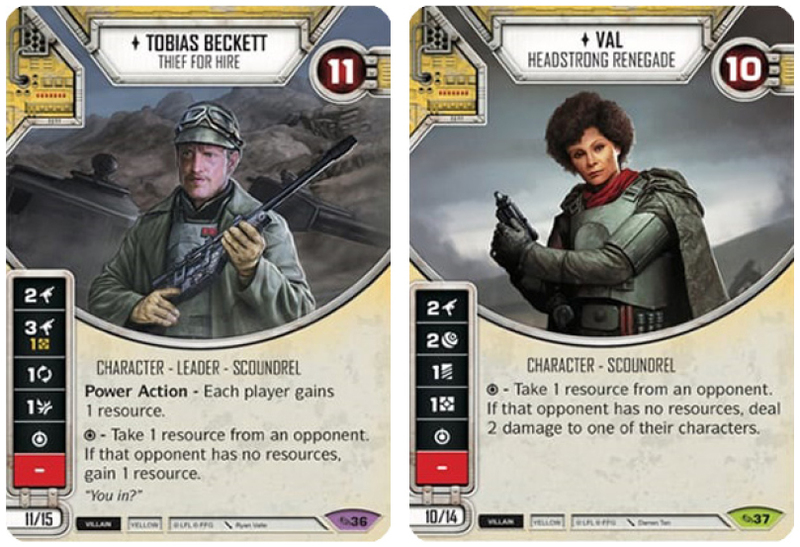 Both Tobias Beckett and Mother Talzin have Focus sides and you are running mixed Ranged damage as well as Special plays, and you can inflict some serious damage with your ALL IN Plays including resolving Holocron Specials to get a Force Ability die in the pool, then focus it into whatever you need. The Special sequencing can also lead to you gaining huge chunks of resources! WITCH MAGICK ... well ... it's magic! You consistently heal 2-3 damage with it. And of course Truce is handy in the instances where you need to resolve the 3 Ranged damage on Beckett's die and is resource strapped - or a Force Wave Special. 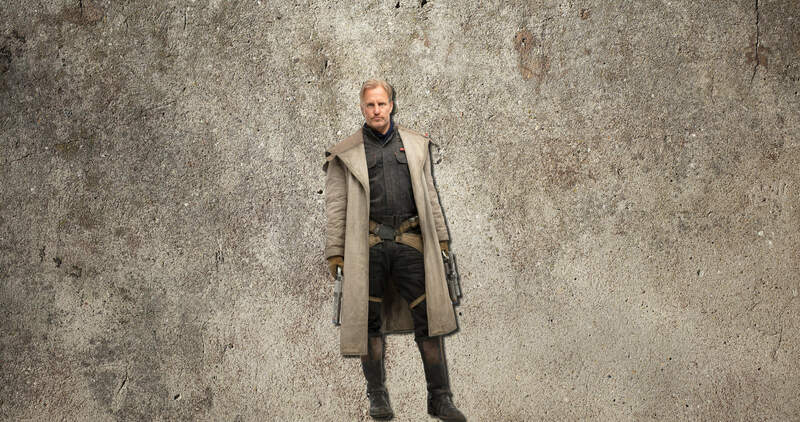 Tobias Beckett's Rifle is a must in your starting hand and it sets up so many possibilities going forward while at the same time severely limiting your opponent's. Add into your mix a Sith Holocron for some serious ramp coupled with whatever Force Ability you can get you hands on. If you draw two Force Abilities plus a Holocron, keep just one and drop everything else. The Truce as already talked about is amazing in combination with playing a Beckett's Rifle and can lead to some serious ramp (if you get a Beckett Special) or some serious damage potentially taking down a character in round 1. The Overconfidence could possibly be any other mitigation card. RIFT VALLEY is fast becoming my favorite Battlefield in Mother Talzin decks! And although this is not the fastest deck, it is by no means the slowest either - and chances are that most decks will get very little benefit out of your Battlefield, whereas the rounds you do get to claim you also consistently get to remove a die!